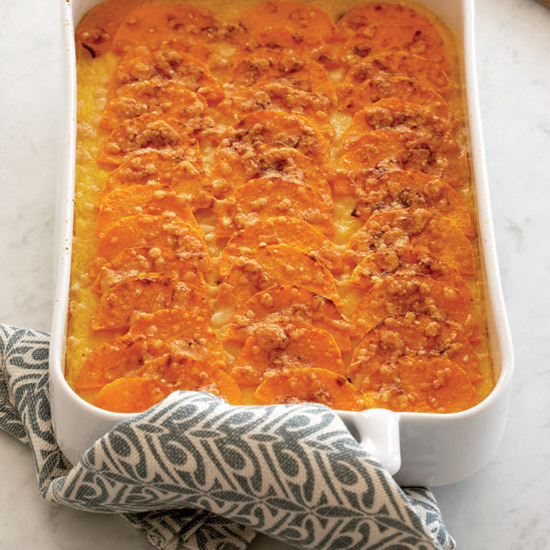 Nothing says fall like butternut squash. 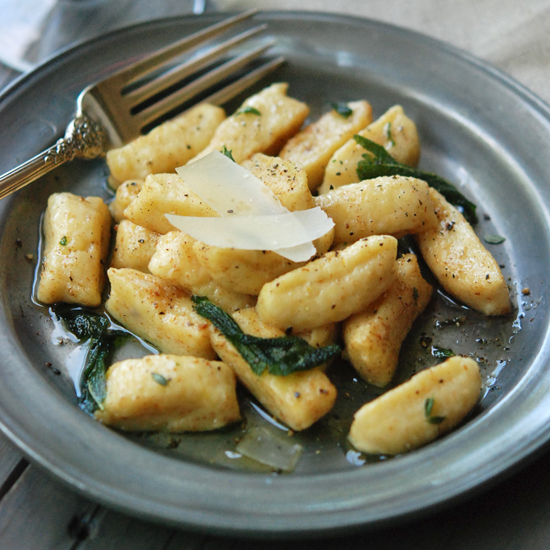 We love the sweet vegetable in all its variations, from creamy soup to fluffy gnocchi. 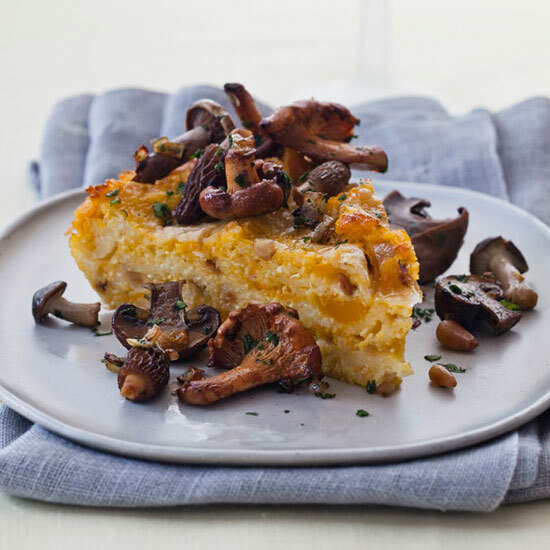 This luscious squash-studded bread pudding is the ideal accompaniment to roasted meats and birds, or cut it into large squares and serve as a main course with a green salad on the side. 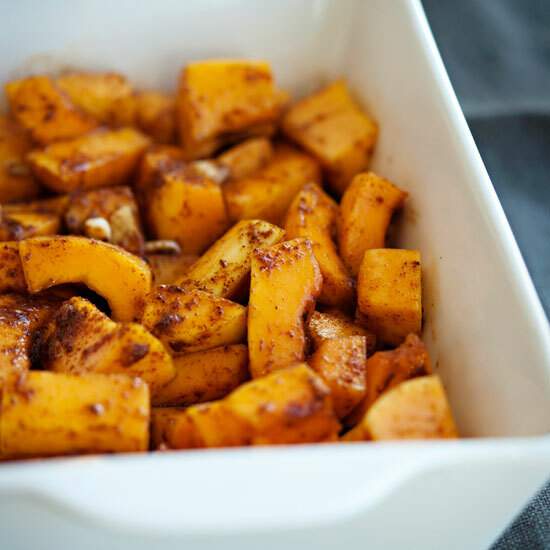 You’ll be surprised at how delicious butternut squash is for dessert. 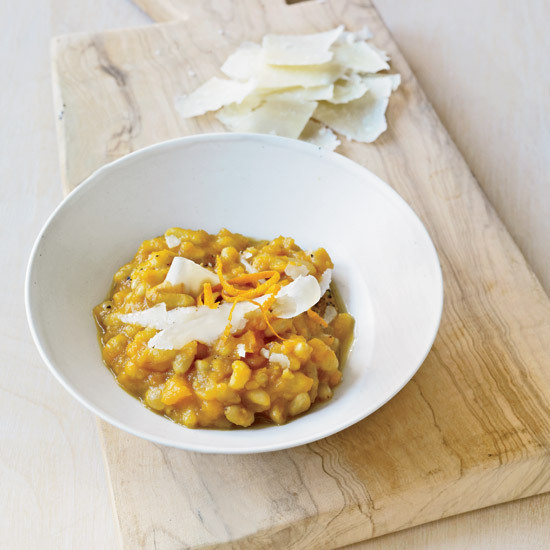 Harissa, a garlicky North African chile sauce, is usually served with couscous and stews. 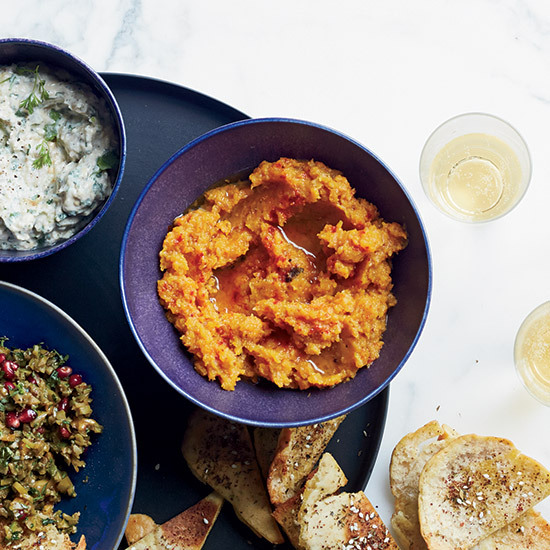 The homemade harissa featured here is super simple to prepare, and any extra will keep in the refrigerator for up to a week, but jarred versions available at specialty markets make a fine substitute. 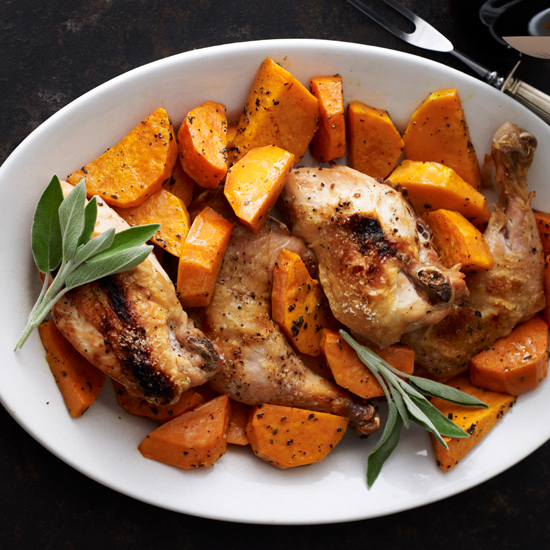 Chicken quarters roasted with golden squash and sage are nice for a chilly autumn evening. 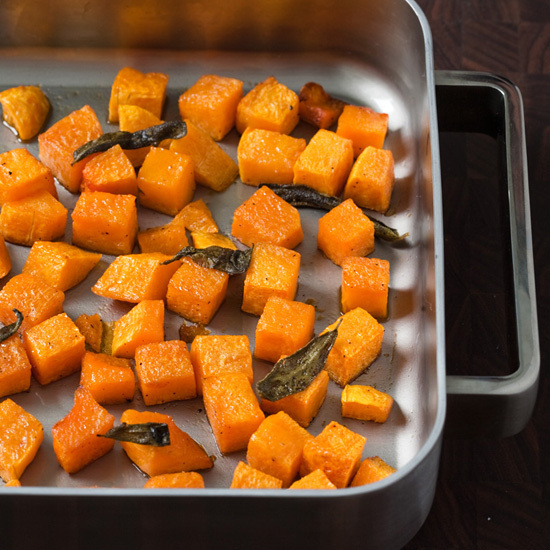 To help the squash to brown evenly, be sure to spoon off the fat from the roasting pan after removing the breasts. 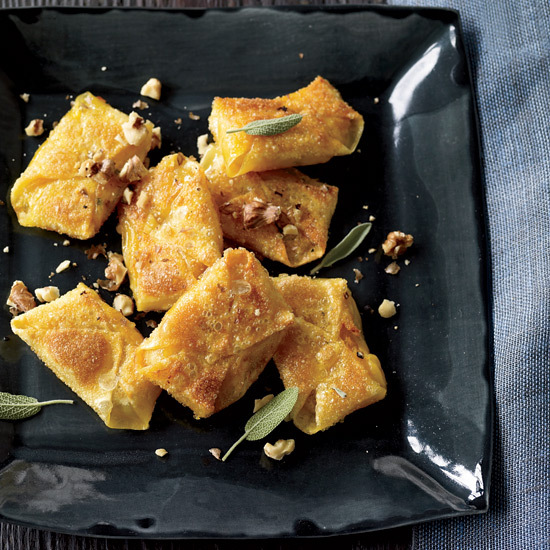 Squash and sage are a classic—and delicious—combination. 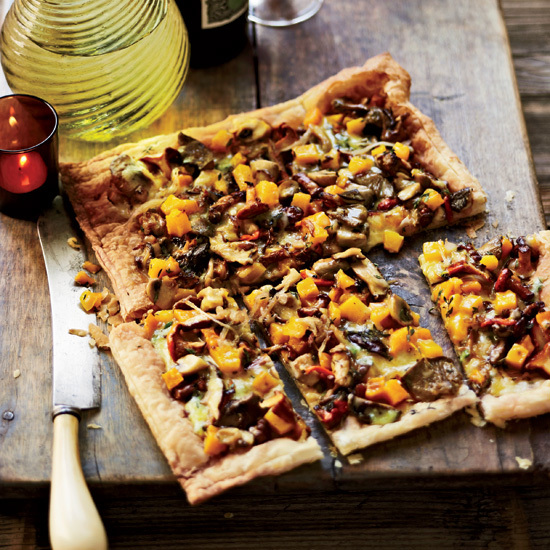 Talk about rich in umami: this sweet, savory and cheesy tart is deeply savory. 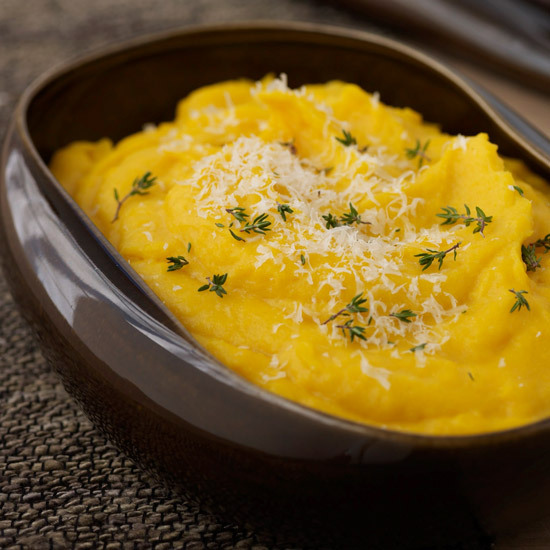 Chef Dean Fearing loves the holiday feel of butternut squash, especially when it's combined with ginger, as it is for his smooth, gently sweet soup. 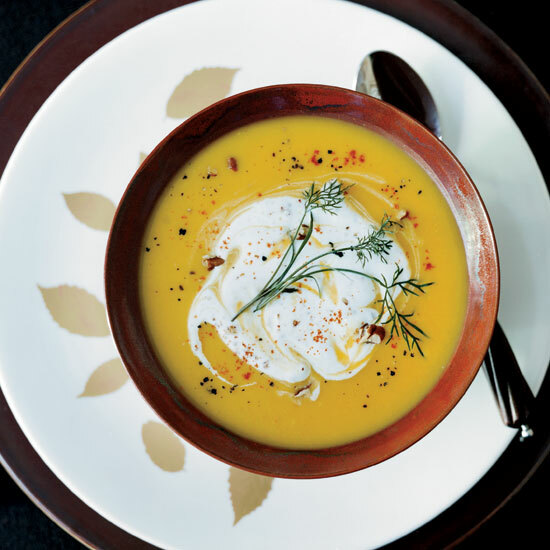 He tops it with whipped cream flecked with chopped pecans for a number of reasons: "Usually holiday soups have a dollop of cream—adding pecans gives it a dollop of flavor. 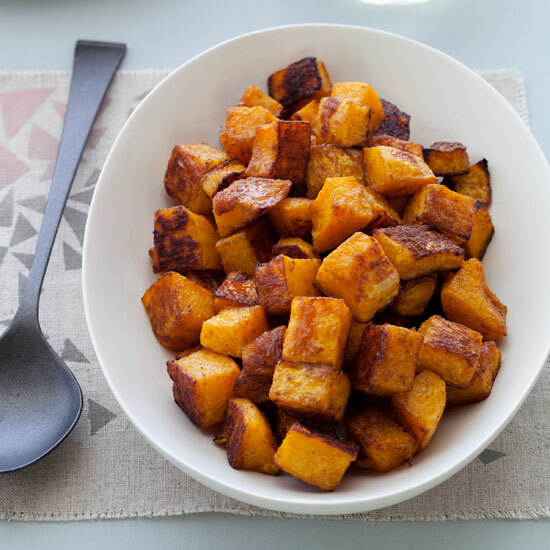 And crunch. 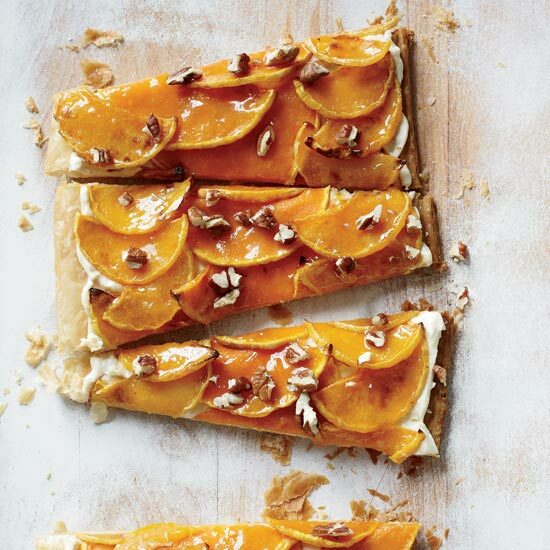 I think everything should have a little bit of crunch to it. " 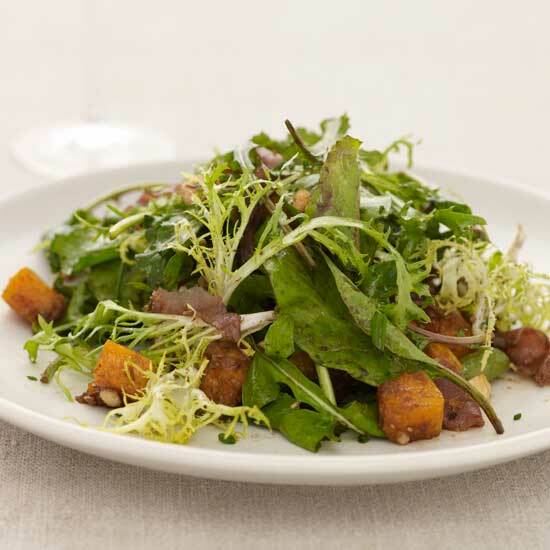 This unusual salad mixes paper-thin slices of raw butternut squash with slivers of prosciutto, chunks of Parmesan cheese and toasted walnuts. 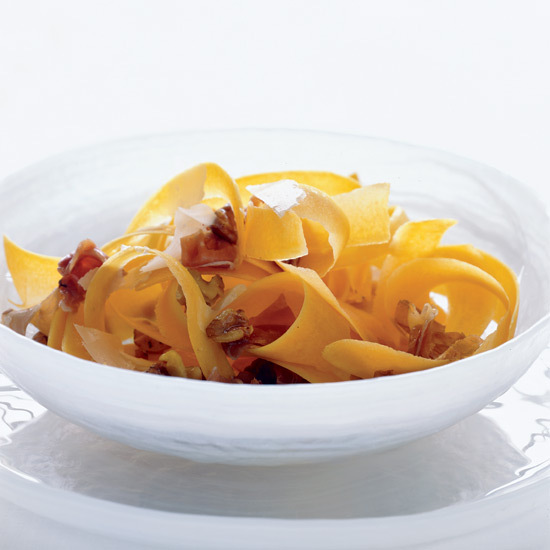 If the squash isn't completely fresh, blanch the ribbons in boiling water for 2 minutes to soften them slightly and bring out their flavor. 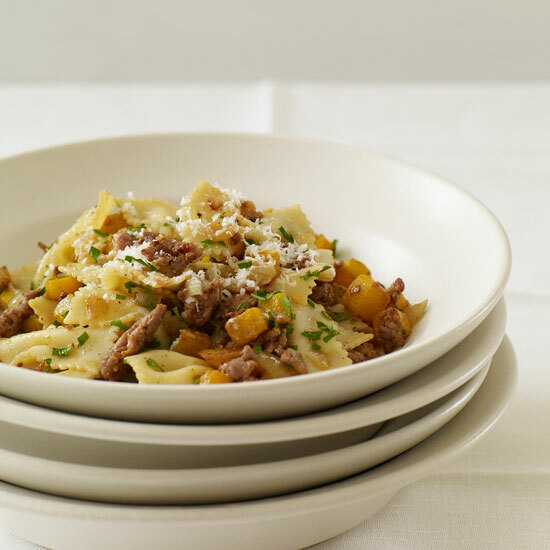 Sweet squash is the perfect counterpoint to spicy sausage in this warming winter pasta. 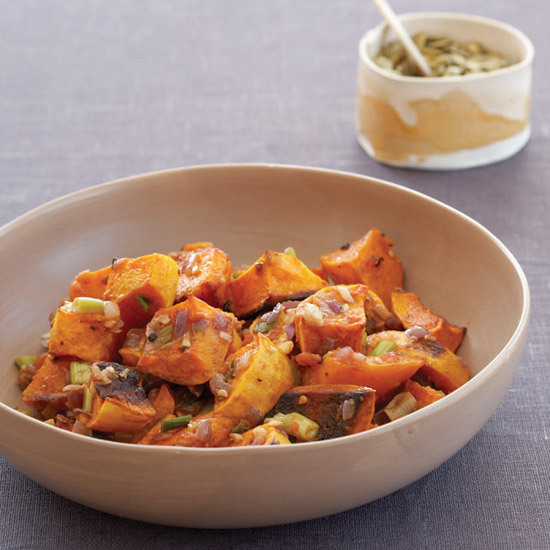 Cooling, cilantro-flecked sour cream brings tang to this sweet roasted squash. 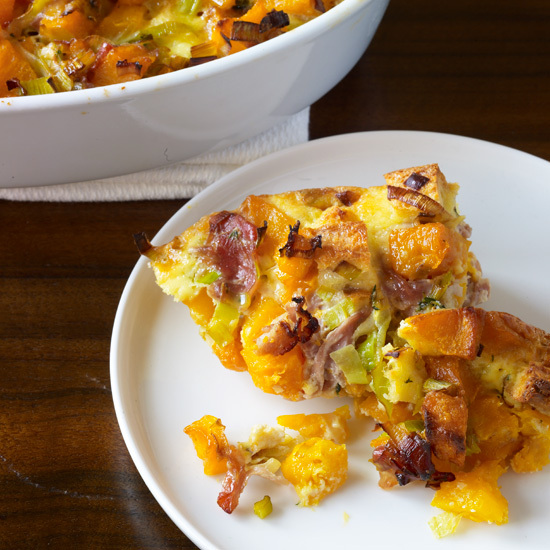 This savory bread pudding, loaded with sweet squash, is based on a recipe meat master Bruce Aidells's wife, Nancy Oakes. 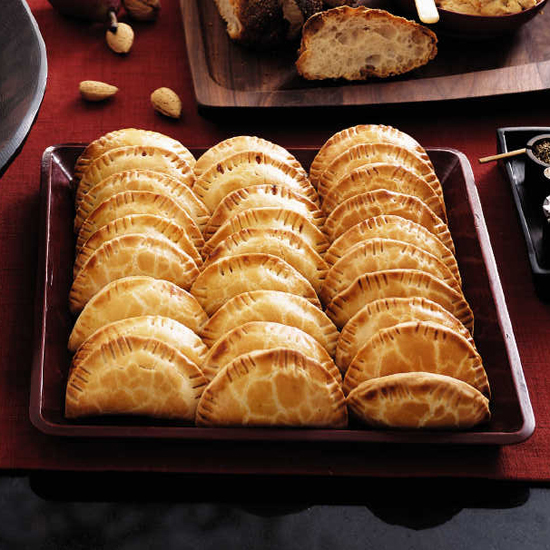 For a more elegant presentation, Aidells bakes the bread pudding in individual ramekins. 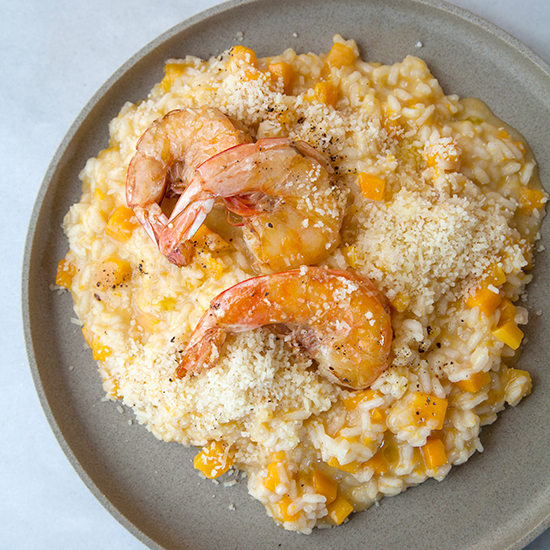 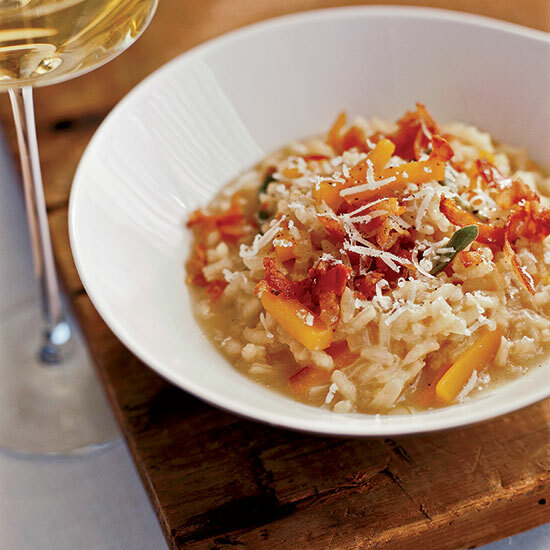 Feel free to swap any type of winter squash for the butternut used in this simple and satisfying risotto. 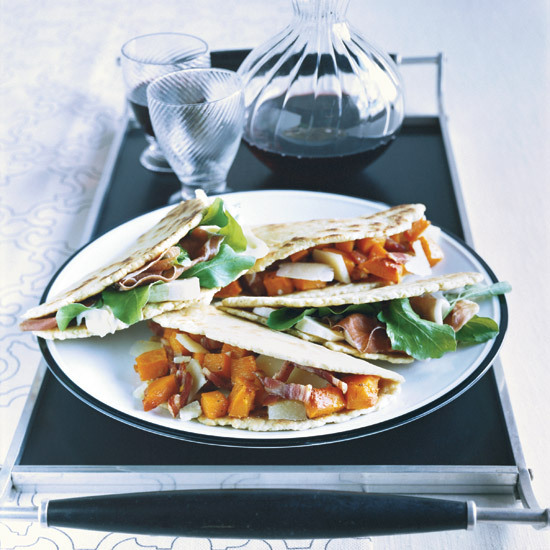 Chef Nate Appleman loves piadina, the excellent flatbread sandwiches that he describes as "Italian quesadillas." 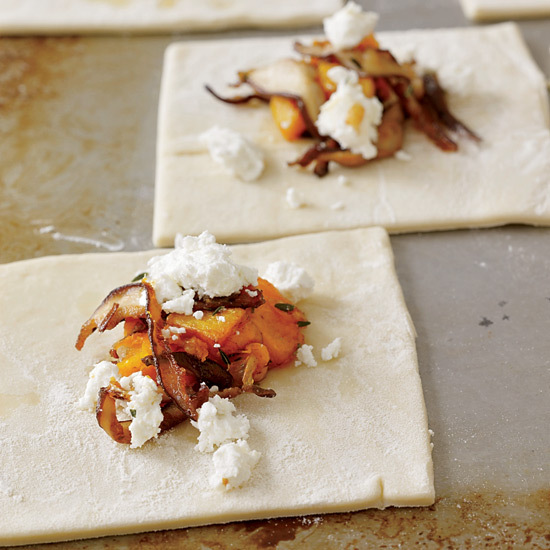 Appleman cooks the flaky dough until it's just crisp outside, then stuffs it with sumptuous combinations like tender roasted squash with pancetta, or prosciutto with stracchino cheese and peppery arugula. 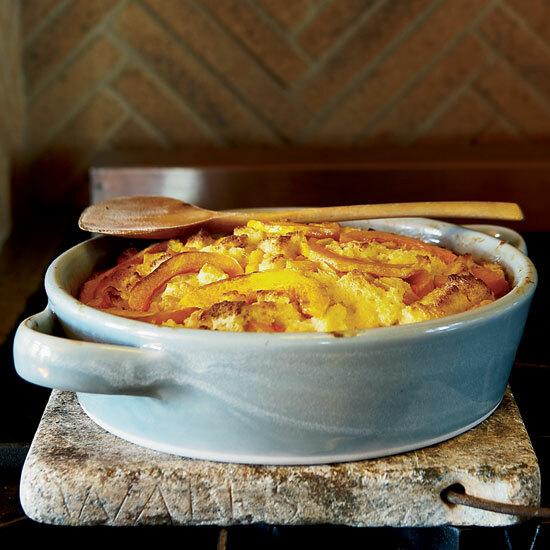 Sweet puréed squash comes together with nutty polenta in this warming gratin. 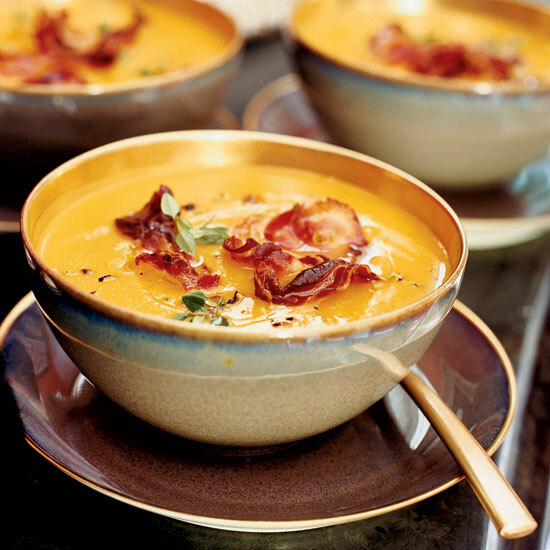 This creamy soup gets a jolt of texture from supercrispy pancetta. 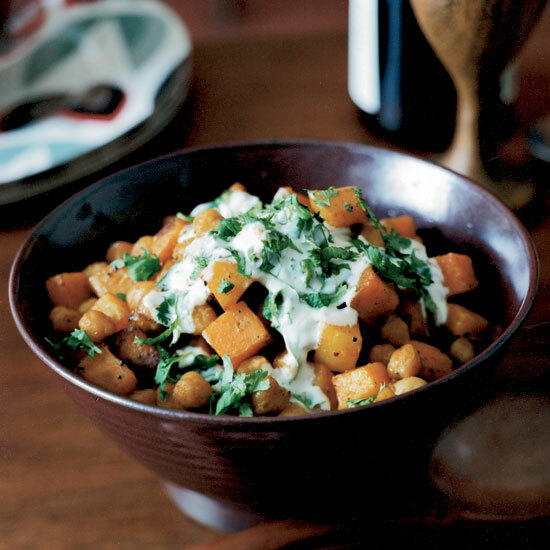 This Indian twist on the traditional Thanksgiving dish of roasted butternut squash is supereasy: After tossing the squash and chickpeas with curry and cayenne, Melissa Rubel Jacobson roasts them, then drizzles the dish with a cooling cilantro-spiked yogurt sauce.